Doyle Roofing has been in business since 1980 when it was formed in Cheboygan, Michigan with it's original name, Rivertown Roofing. In 1988 the owner and founder of the company, John Doyle, changed the name to Doyle Roofing. Doyle Roofing is a commercial roofing contractor that services the northern lower peninsula and the eastern half of the upper peninsula in Michigan. Diversity is one of our specialties, as we install multiple types of membrane systems, and, coating systems. Not only do we provide roofing on new construction and re-roof projects, but we also work as a repair and maintenance roofing contractor. Doyle Roofing has long been involved with community programs, such as Habitat for Humanity. Over the years we have donated hundreds of labor hours installing roofs to help local families in need of affordable housing. Ask us about our powerful warranty guarantees. 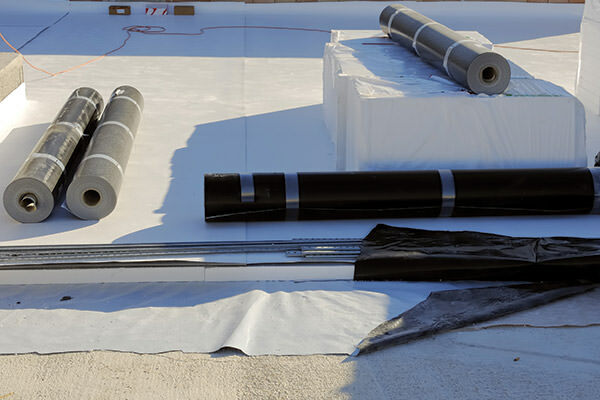 Doyle Roofing is a certified installer of various membrane systems including Versico, GAF, Firestone, Tremco, Everguard, Mulehide and GenFlex. 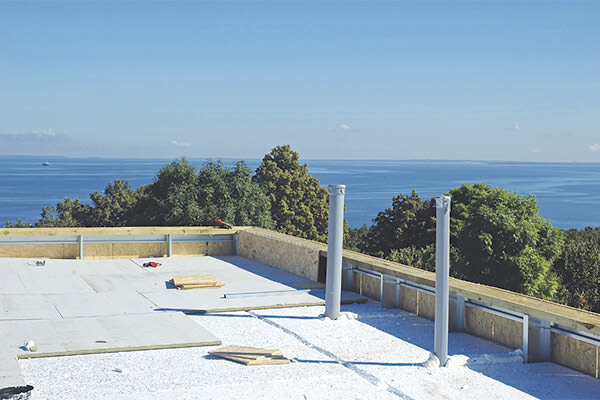 Each of these systems provide a long lasting water tight roof for many years. These membrane systems are available in a variety of thicknesses. The three basic installation methods used are ballasted, fully adhered and mechanically attached. Doyle Roofing offers company and manufacturer warranties for up to 20 years. Doyle Roofing is also trained and experienced with roof coating systems. We have been partnered with Republic Powdered Metals for several years. Republic has been providing waterproofing and weatherproofing solutions for more than 50 years. Republic coatings can provide economic solutions and restorations for most roof systems and building surfaces. We have also partnered with Tremco Roofing Systems which gives us the opportunity to offer nuclear roof moisture surveys. These surveys result in targeting problem areas for effective repair, identifying sound roof sections to conserve, create money saving replacement options and provide real time conditions of your roofing system. We also have a long lasting relationship with Lucas. Lucas offers coatings, mastics, caulks and sealants for the professional Roofing trade. R.M. Lucas has been supplying the Roofing industry since 1912 and is based in Chicago, Illinois. Thank you for your interest in Doyle Roofing. Please contact our estimating department with further questions you may have regarding any of our roofing products. Our estimating team will provide a free estimate that suits your commercial project needs.